TEAM INDIA IS THE ONLY TEAM WHO WONS ALL ICC TROPHIES. 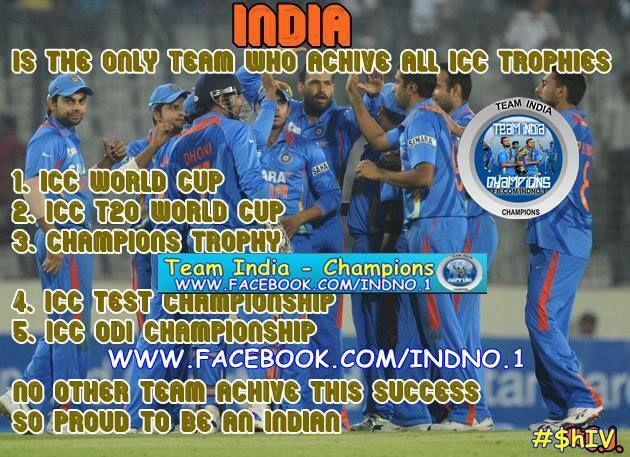 NO OTHER TEAM ACHIVE THIS SUCCES SO PROUD TO BE AN INDIAN............!! HIT LIKE IF U FEELING PROUD TO BE AN INDIAN.